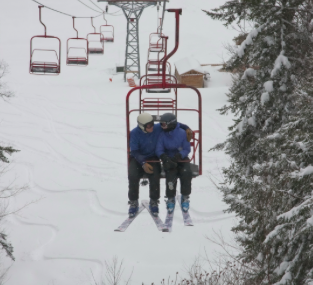 There’s a pattern to most chairlift conversations. I usually start mine by asking: “Are you local?” My other go-to intros are a comment if it’s cold as hell or if it’s a bluebird day. Use any of these ice-breakers, and most people drop into the groove as easily as a needle on an old 78 (remember them?). A double or triple provides the ideal number of conversationalists. Quads and six-packs can be a challenge. I’m sure you’ve experienced those multiple conversations. Topics generally are benign, although I’ve been exposed to strong political points of view and strong racial epithets. Since the chair is both public and private space, when that kind of ugliness occurs, I have no compunction making my point of view known. One time, on a triple, I listened to someone describe an active money-laundering scheme. I bit my tongue, anxiously waiting to get away. I enjoy riding with youngsters and learning what’s on their minds. What they like in school. What they like to read, movies they’ve seen, etc. Those can be some of the best lift conversations. Many chairlift chats become boasting platforms. Cliff-hucking. Days skied. Resorts visited. The fancy lodge where others on the chair aren’t staying. Etc. Generally, there’s a brief lull before it’s time to raise tips, check for loose clothing, and tell the others to “Have a good run.” Every now and then when skiing alone, I’ll ask a fellow chair mate if he or she wants to take a run. Some of those have resulted in a pleasant few hours. Increasingly, people riding the chair are plugged into some electronic device and remain incommunicado. It bothered me for a while, but I got used to it. What I’ve never gotten used to are the people, generally on the younger side, who get on the lift and choose not to say a word. It’s probably more my problem than theirs, but sitting next to a totally silent bump on a log suspended 40’ or 50’ off the ground is weird and seems to be a violation of conventional chairlift etiquette. And there’s the occasional pleasant experience of riding solo. A time to enjoy the scenery and to feel the sun or the wind or the cold. Sometimes it’s just nice to be on the chair alone. Elevate is the new robotic ski exoskeleton that boosts quad strength and gives greater control, stronger turns, and longer runs, while reducing muscle fatigue and joint pressure. 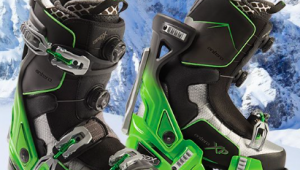 Sensors and smart software on the exoskeleton anticipate the skier’s intent and uses air actuators to automatically adjust torque at the knees. The device is fully adjustable and follows the body’s lead, helping the skier feel lighter and more energized. As you’ll see in this video, the skier is always in control. I haven’t experienced the device yet, but from my perspective, it has the potential to be an important addition to the older skier’s toolkit. Elevate is advertising with SeniorsSkiing.com and offering readers a 10% discount on rentals at its Lake Tahoe and Park City locations. At this time it is only available as a rental. Click on the ad to learn more. Alpenglow Expeditions, located at Squaw Valley Alpine Meadows, conducts lift-accessed backcountry tours of the National Geographic Bowl and Tram Ridge zones at Squaw Valley and the Munchkins zone at Alpine Meadows. Tours are guided by American Mountain Guide Association (AMGA) trained ski guides. Go with them midweek and get a 20% discount. More info at alpenglowexpeditions.com. If booking online, use promocode SquawAlpine20 at checkout. Brighton Resort at the top of Utah’s Big Cottonwood Canyon is often overlooked by those visiting Utah to ski. That’s a mistake. The area has great terrain and is a magnet for snow, often getting more accumulation than areas around it. Unlike most other Wasatch areas it has an old-fashioned, homey vibe. It’s a wonderful place to ski. 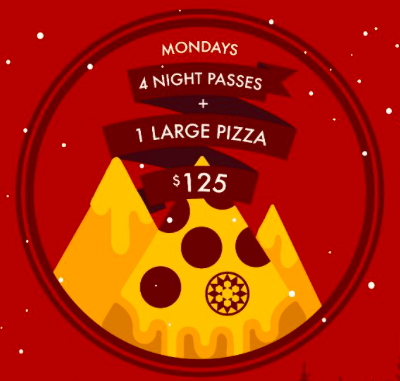 If you’re in the area on a Monday night, Brighton is offering four passes and a large pizza for $125. Click here for more. Jiminy Peak Mountain Resort in western Massachusetts has a seven-hour night skiing lift ticket for $19 on three Monday nights in January: Jan. 14, 21, and 28. You’re older. You’re going skiing. You want protection. Safe Descents is ski and snowboard evacuation insurance costing $56.99 for the season or $4.75 for a day. The policycovers ambulance or air evacuation services from any ski resort in the United States. It also covers sending a loved one to the hospital and/or getting the insured back home following a hospital stay. Policy holders are covered for a maximum of $25,000. Safe Descents policies are underwritten by the global Starr Indemnity and Liability Company. For more information, click on the Safe Descents ad. 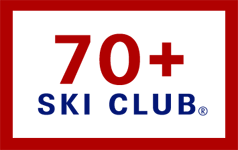 There are many skiers of every age who take to the hills once or twice a year, often schlepping skis that aren’t suited for their destinations or gear that is simply out-of-date. Ski Butlers is a white glove rental/delivery service that solves those problems. Give them your info ahead of time, and they deliver gear and accessories to where you’re staying. Their technicians help you get the right fit. If you don’t like what they delivered, they’ll meet you and provide alternatives. 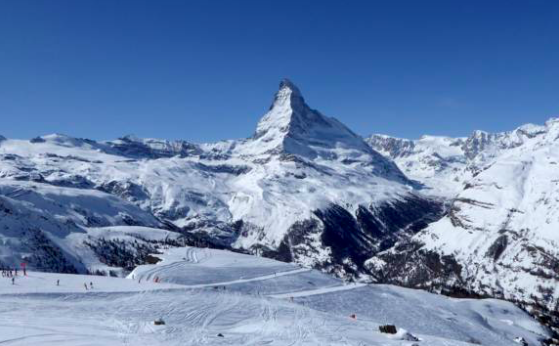 Ski Butlers services most big name resorts throughout the West (Whistler Blackcomb, included) and France. Click here for more info.